EpiKlean Ear Cleanser cleans, dries and removes waxy buildup and other debris within the ear, and creates a healthy ear environment. 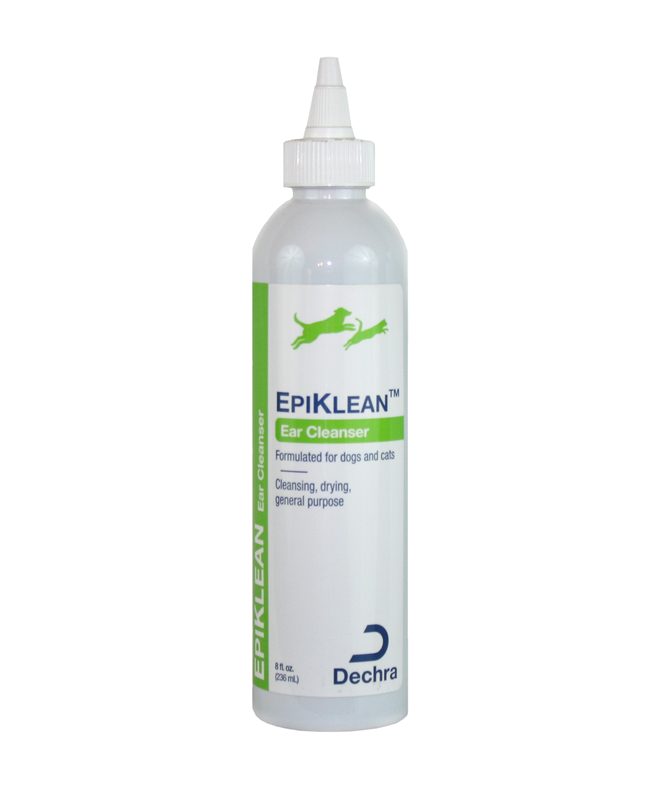 Use EpiKlean regularly to prevent ear infections. SHAKE WELL. Apply to the ear canal and gently, but firmly, massage the base of the ear. Use a cotton ball to remove excess solution. Repeat as necessary or as directed by your veterinarian. Close cap tightly. May be used one to three times per week for routine use. Also use before each ear treatment in the case of otitis externa, or as directed by your veterinarian.